It seems Sul has started indulging herself in dangerous emotions which could engulf her whole. Worse even, her friends sent her directly in the arms of Darth Jung afterwards, unaware of his real identity, hoping that the model student of Uni A would bring her comfort and widsom. HAHAHAHHA oh god, you guys! 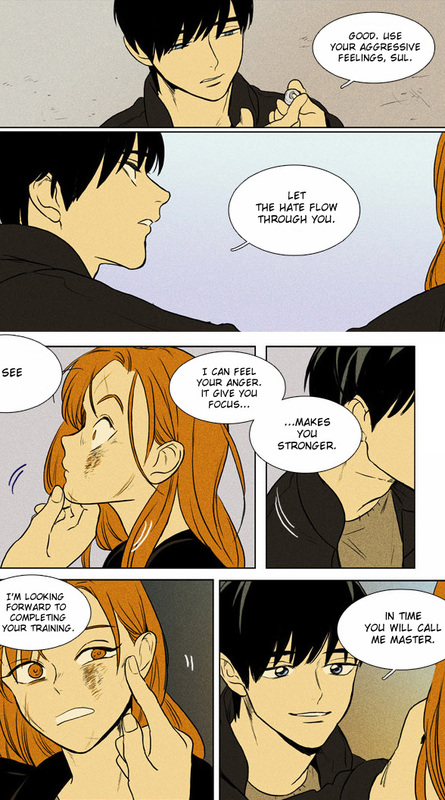 I was expecting a punchline, but I was like, "...wait what"
Sul, don't succumb to it!! As usual, thank you for the chapter! Keep up the good work!! Yay, thanks for a new chapter! I got Mermaid Man Evil flashbacks from this chapter. To Kuramichi: Are you an applicant? Why dont you just email it to Doonge? Which position did you apply for? This is one of my favorite scenes in CitT, and this spoof of it might be my favorite lol. thank you for translating, OSS!